For anyone who has been harmed by a vaccine, The National Vaccine Injury Compensation Program can financially help them recover. Only some vaccines are covered, and a claim has to be filed in order to prove the injury. However, for people who have been harmed this way, the program is an important option in trying to recover some of what they have lost. It’s also possible to receive a settlement, even if the injury is smaller or the claim is more difficult to prove. For anyone who has been injured by a vaccine, checking into the program and what it can offer them is worthwhile. Who Provides The Vaccine Injury Compensation Program? The National Vaccine Injury Compensation Program is a federal program. It was created in the 1980s to help offset the lawsuits that were threatening to cause a shortage of vaccines. That could have resulted in preventable diseases returning to harm the population, so a decision was made to find another way for people who were injured by vaccines to get relief. That keeps important vaccines on the market to protect the public, but also helps ensure that people with vaccine injuries can be fairly and justly compensated for those injuries. To file a claim, a person must have received an approved vaccine from a healthcare provider, and must have had an adverse reaction to it. In some cases these reactions can be very severe and even life-threatening, but your reaction doesn’t have to be that serious for you to have an opportunity for compensation. However, it’s important to make sure that you have documentation of the harm the vaccine caused, in order to make your case properly. The US Court of Federal Claims is where the petition needs to be filed. 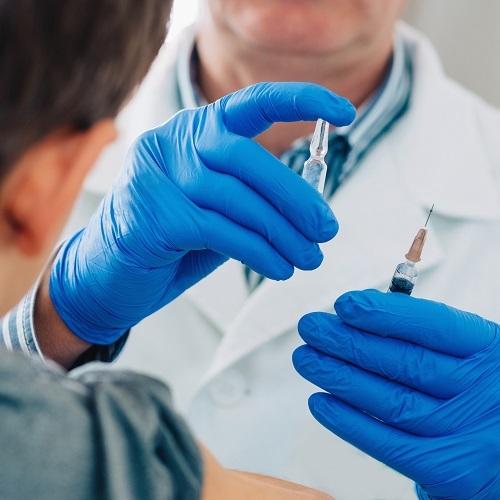 Not every vaccine is covered, but the National Vaccine Information Center offers resources that can help people injured by vaccines figure out if they may have a claim. They can also talk with an attorney to determine what their rights might be in a particular situation. That can help them decide if they want to pursue a claim or if they don’t have enough of an injury from a vaccine to make a claim worthwhile. By securing strong legal advocacy, though, they can move their claim through the process and receive any compensation that is fair to them for their specific case.